Difference between Lorazepam and Diazepam. • Categorized under Drugs,Health | Difference between Lorazepam and Diazepam. The drugs lorazepam and diazepam belong to the class of drugs called as ‘benzodiapines’ which belong to the group of psychoactive drugs. These act on the neurotransmitters of the brain. These produce a calming effect on agitated nerves acting as mild sedatives or anxiety relievers. The molecular formula of diazepam is (C16H13CIN2O) and it appears as light yellow crystalline powder and is soluble in 25 mM of ethanol. The molecular formula of lorazepam is (C15H10CL2N2O2). It appears as a white powder and is soluble in 40 mM of ethanol. The strength of the two molecules varies significantly. A 10mg of diazepam is equivalent to 2.5 mg of lorazepam. Thus, lorazepam is a far stronger anxiolytic. The absorption of diazepam is better in oral form than intra muscular form whereas in lorazepam is effective both ways. The action of diazepam is more rapid as compared with lorazepam, especially in cases of amnesia. The effect of the lorazepam lasts longer as opposed to diazepam. Lorazepam is more effective than diazepam to lessen and reduce the frequency of venous thrombosis. Studies reveal that the use of lorazepam in blocking the after effects from the use of ketamine (medicine use to induce sedation) is far greater and effective as compared to diazepam. Diazepam is highly fat soluble. It is easily absorbed throughout the body including the blood brain barrier. Due to its high absorption, even a small dose is absorbed in a large amount. Lorazepam on the other hand is lipid insoluble and poorly absorbed when given in oral form. Lorazepam is protein bound as compared to diazepam which lets itself rapidly distribute through the vascular route resulting in a prolonged peak effect. Studies also reveal that the levels of lorazepam in plasma are equal to the dose administered and thus there is no accumulation of its active metabolites thereafter, as opposed to diazepam that tends to accumulate in the body tissues. The use of lorazepam over diazepam for treating ‘status epilepticus’ has numerous advantages as it is more rapid in terminating the convulsion attacks. The effect of Loraezpam lasts for a long term period of time. In case of diazepam, the effect develops after 6-10 months of treatment, making it an option for long term maintenance therapy. Diazepam use in cases of emergency due to eclampsia is very effective especially when the blood pressure has failed to remain in control along with other measures. Lorazepam was first introduced in the year 1977 while diazepam was introduced in the year 1963. Lorazepam is mainly used to treat anxiety, seizures; it produces sedation and mainly anterograde amnesia, whereas diazepam is mainly used to treat anxiety, insomnia and panic attacks. Its use is seizures are not very effective as it acts after a long period of time. The molecular strength of lorazepam is higher than diazepam and hence lorazepam is found in the blood in greater quantities even with small doses. The withdrawal symptoms of diazepam are less severe than that of lorazepam. rachita. 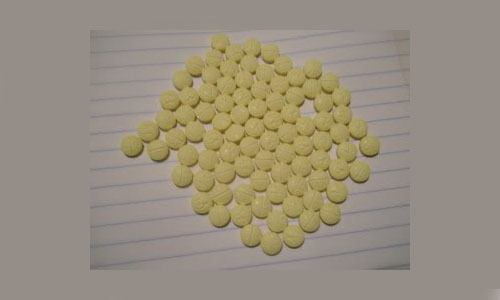 "Difference between Lorazepam and Diazepam.." DifferenceBetween.net. November 25, 2014 < http://www.differencebetween.net/science/health/difference-between-lorazepam-and-diazepam/ >. I take lorazepam and it works wonders for me. Its helps me more then anything ever has. I have in the hospital twice and since my Dr put me on this it’s been great. I love my lorazepam it helps me better then any meds ever has. I wouldn’t change it for nothing.